If I had to confess, Fall is probably my second favorite season – with Spring being my favorite. If we were just talking about on a food level, Fall would win my vote hands down. Pumpkin, apples and lots of spices …. what’s not to love? This month’s Lady Behind the Curtain Dessert Challenge was to use Apples and Cinnamon. I couldn’t believe I didn’t make or share any crisp recipes last year, so I thought I’d redeem myself this year with my Apple Crisp for One. Of course, it’s easy enough to double, triple, quadruple … or even make it times 20 if you want to. I made these using Gala apples, but any baking type apple would be great. 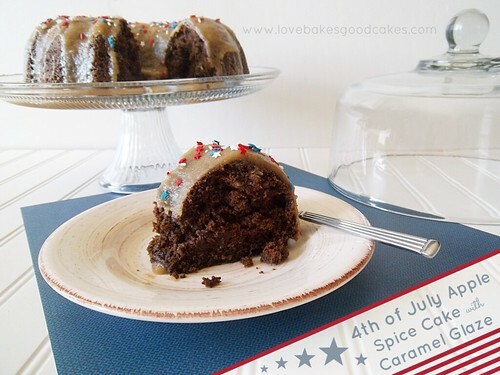 If you’re feeling super indulgent, you can drizzle a bit of caramel over the top and serve the crisp with a scoop of vanilla (or cinnamon – I’ve been looking for it in the stores, but haven’t seen any locally yet!!) ice cream! Place the chopped apples in a small greased ramekin. In a small bowl, combine the flour and brown sugar. Cut in the butter until mixture resembles coarse crumbs. Add the oats and cinnamon. Sprinkle over the chopped apples. Bake, uncovered, at 350° for 35-40 minutes or until tender. Serve with ice cream, if desired. 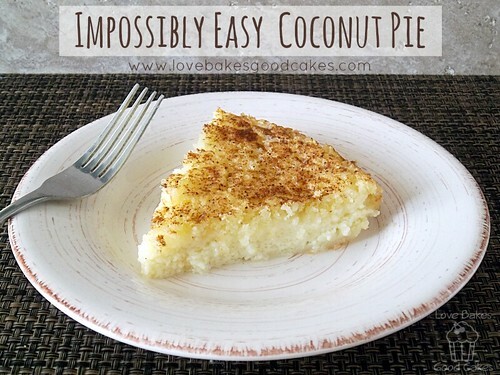 Jamie..I'm making this one for dessert for me this evening! ooohhhh goody! I really can't wait for us to have all those apples here in Mi, prices go down and they are fresh and juicy just like the ones in your recipe! Thank You so much and joining the fun at Fluster Buster party! Hugs, girl, Lizy party co host! Perfect dessert for hubby and me. Can't wait to try it! Great challenge choice. Jaime I love all kinds of crisps and I adore individual serving desserts, can't wait to make these! This looks perfect for a weeknight. Thanks for the recipe! Oh, thank you, thank you! Apple season is my favorite time of year! 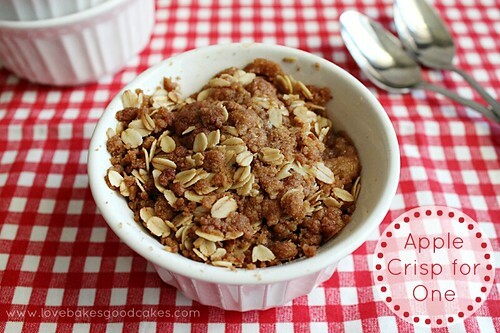 I love your Apple Crisp,it looks awesome! Thank you so much for sharing with Full Plate Thursday and have a great weekend! I love both the season and the food. Plus, my birthday is in the Fall too. Great to come up with a crisp for one. Sometimes you just want a little dessert and baking a whole cake can be dangerous. Thanks for sharing it iwth us on foodie friday. Oh yum, I barely have spring leaves on my apple tree but I am pinning this for harvest! Hi Jamie, I'll have to try your apple crisp. Looks yummy! Dropping by from @DearCreatives love to have you stop by sometime. This is a great way to give myself a treat without eating too much! Love it! Would you mind to link this up to my Frugal Crafty Home Blog Hop? Our readers love to see creative recipes like this. Thank you! This looks awesome. I made Apple Crisp also. It's my favorite fall dessert! Great idea to have recipes for one! I am alone a lot as the hubster works evening shifts, and I don't want to make a huge batch of anything. Thanks for sharing at the memories by the mile link party. Deb @ kneaded creations. 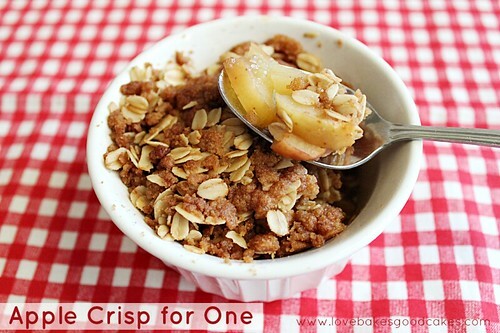 I absolutely love apple crisp and love that you can easily increase or decrease the recipe to serve 1 or more people. Thanks for sharing at Simple Supper Tuesday. Looks awesome! Definitely adding this to my recipes! Thanks for sharing! Thanks for sharing at the Frugal Crafty Home Blog Hop. Have a wonderful day! Love it, apple dessert just for me 🙂 Thank for for sharing this, I will be sure to pin for later. Jamie, I love this special little dessert just for one! Thank you so much for sharing and joining us at Best of the Weekend! Pinning to our party board. Have a happy Thursday and hope you can join us tomorrow night!